In August 1990 John Lamb, a dentist from Maghull, Merseyside purchased a computer system. A principal reason for buying the system the then recently introduced EDI claims for NHS FP17 which was introduced in September 1990. 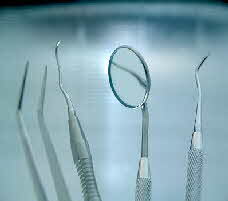 The Midshire Dental System was the first company to gain approval and to transmit claims. It was this system that was installed at the practice with a reception and two surgery screens. The screens were the old “Green Screen” monochrome terminals and it was one these that full charting was performed. There was no “Mouse” and the operating system was called “Theos” which pre-dated Microsoft Windows. The years went by and along came the so called “Millennium Bug”. A server upgrade was performed prior to the Millennium; however the original “Green” charting screens were retained. Throughout all this time, the system was maintained by the same people and when a new version of the software was launched, the company continued to support the original version. Now to the present day and John Lamb has just sold his practice to Andrew & Priyal Crosby. The practice has changed its name to the Northway Dental Practice. John is staying at the practice as an associate. The new owners had inherited what surely must have been the oldest working Dental Computer System and decided to upgrade to a modern system. The system chosen was the “Shire Dental System” which is the up to date version of their old system. This month will see the decommissioning of the last working original dental computer system, the end of an era! The original workstations and printers are still in good working order. John Lamb is quoted as saying “its all been fine, it only ever needed one callout and that was a result of a power surge!” Not bad over 21 years!